A modern interpretation of traditional candle holders. 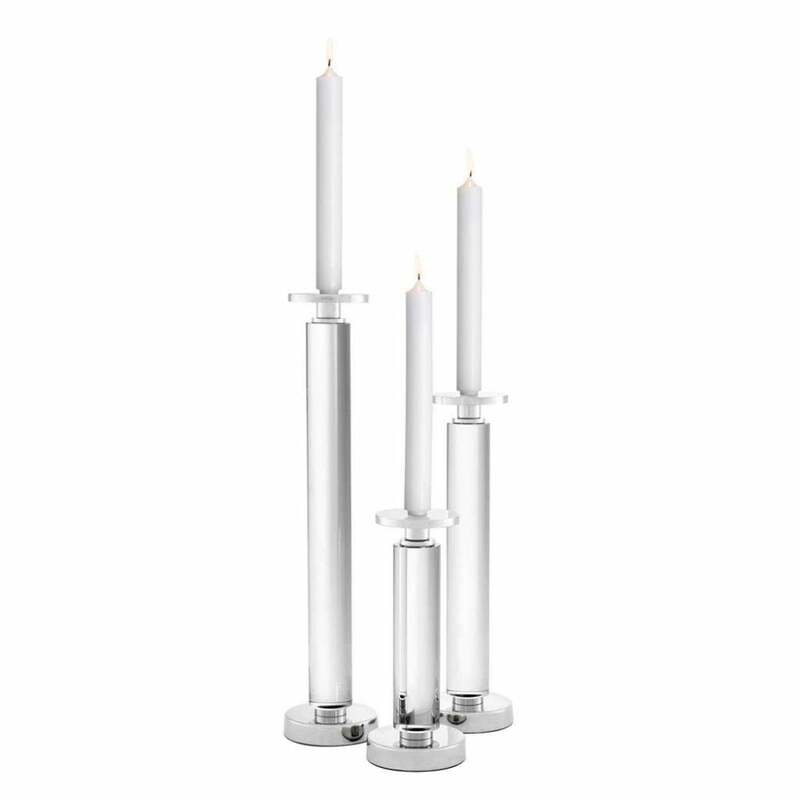 The Chapman Set of 3 Candle Holders feature beautiful crystal glass bases with contemporary metallic details. Choose from either a gold or nickel finish to complement your interior scheme. The varying heights of each candle create an elegant table display. The Chapman Candle Holders will bring a touch of cool sophistication to a side table, console or dining room table. Use for special occasions or to add ambience to a minimalistic interior scheme, the Chapman Candle Holders are the ultimate luxury accessory for any design lover. Make an enquiry for more information.